Boil 2 cups water and salt in a medium saucepan. Add quinoa to this and continue boiling. Reduce to a simmer, cover and cook the mixture until all the moisture is absorbed (around 15 to 20 minutes). Keep the quinoa in a colander to cool down. Mix lemon juice, oil, garlic, salt and pepper in a large bowl. 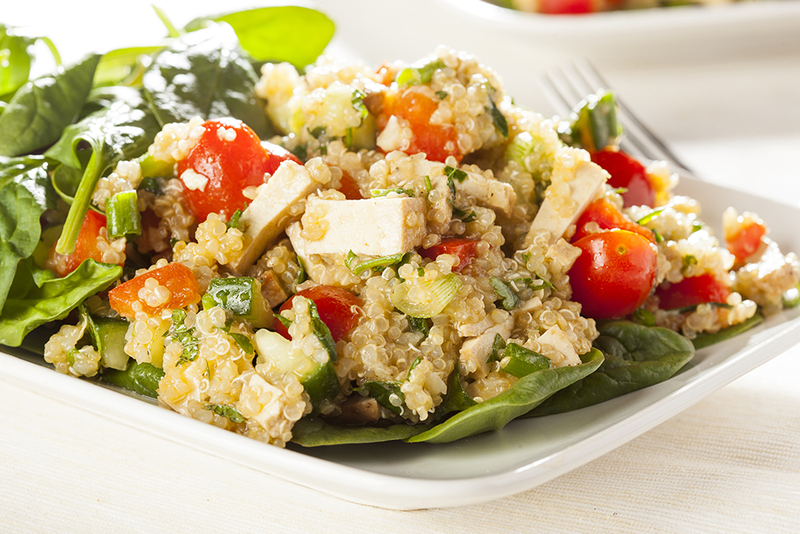 Add tofu, bell pepper, tomatoes, cucumber, parsley and mint to the cooled quinoa. Toss well to combine and serve fresh.